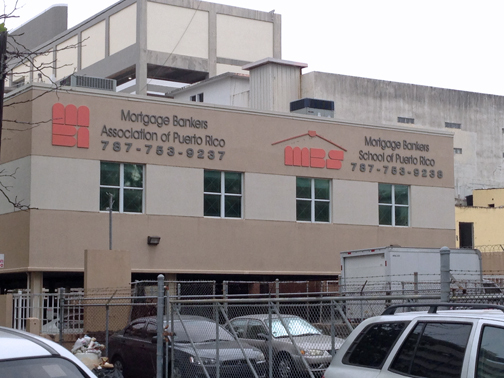 The Mortgage Bankers Asociation's Hato Rey headquarters. The Mortgage Bankers Asociation’s Hato Rey headquarters. Under the slogan of “Working toward a new Puerto Rico,” the Puerto Rico Mortgage Bankers Association will host its annual conference June 8-9, an event that is open to industry professionals as well as the general public. The event, to be held at the Marriott Hotel in Condado, will feature the participation of Gov. Ricardo Rosselló, who will offer a keynote address during the Friday luncheon. The convention program begins Thursday, with the educational forum “Market Opportunities for Puerto Rico; FHA, GSE Roles, New Laws and Local Government Initiative,” to be presented by Daniel Rogers III, of the U.S. Housing and Urban Development agency, State Department Secretary Luis Rivera-Marín; and Luis Burdiel-Agudo, president of the Puerto Rico Economic Development Bank. Several more sessions will take place that afternoon, discussing topics including business opportunities, accessible housing and first buyers, data and analytics, and technology in the mortgage market. Friday will open with a business opportunities symposium, with a group of panelists including economists José Joaquín Villamil and Juan Lara, as well as Federico Stubbe Jr., president of PRISA Group; Lawmakers Zoé Laboy and Antonio Soto, as well as Puerto Rico Housing Department Secretary Fernando Gil Enseñat. Rosselló’s presentation will follow, when he will be flanked by Rodrigo López, president of MBA Nacional, Silvio López, presidente of the MBA and the local trade group’s President-elect, Dimas E. Rodríguez. Hey Buddy!, I found this information for you: "MBA gears up for annual convention June 8-9". Here is the website link: https://newsismybusiness.com/gears-annual-convention/. Thank you.